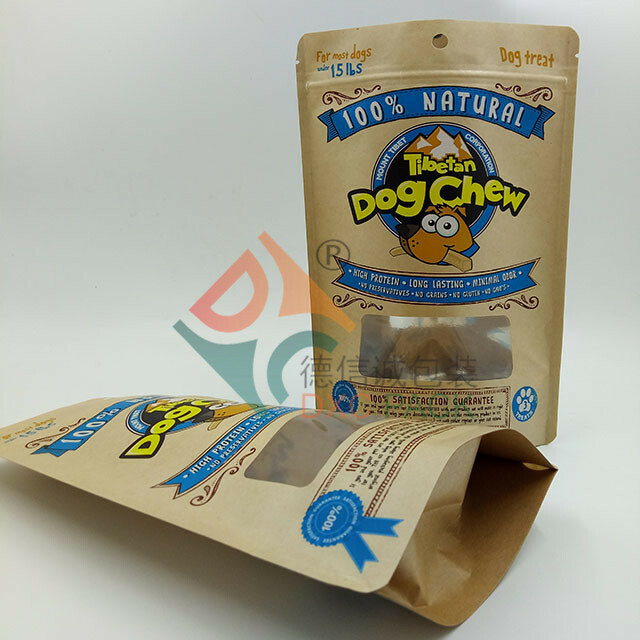 DXC PACK provide flexible packaging ranging from 2oz（50g） to 33lbs（15kgs） to meet different pet food need. We can print with max 9 colors on plastic film that includes Hot Stamp. We also offer several different custom printing options including flexo and Gravure printing. 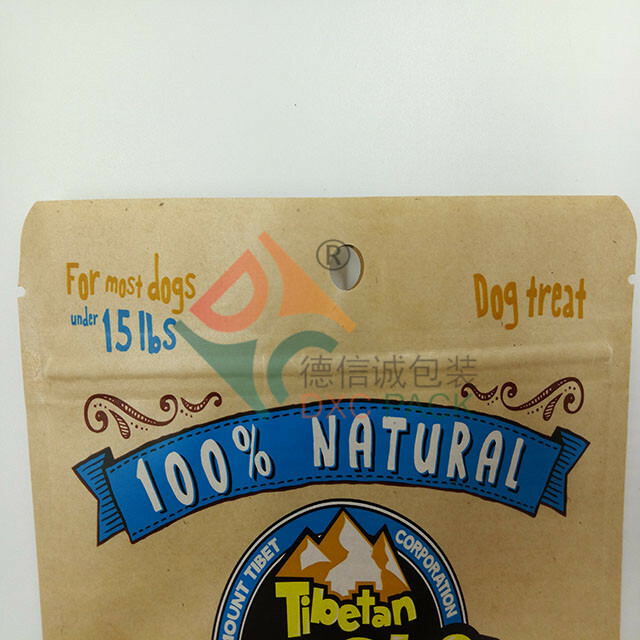 Different features for the pet food. Reclosure system,press to close zipper. Customized clear window for kraft paper and metalized material. 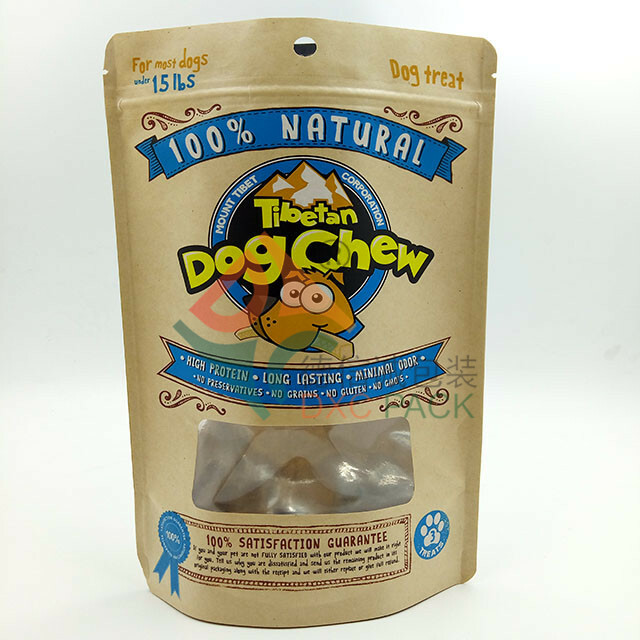 To make your pet treat with better performance on the shelf. 5laminated materials layers with strengthen VMPET that protect items from moisture, gas, and odor. Printing on Plastic max 9 colors. 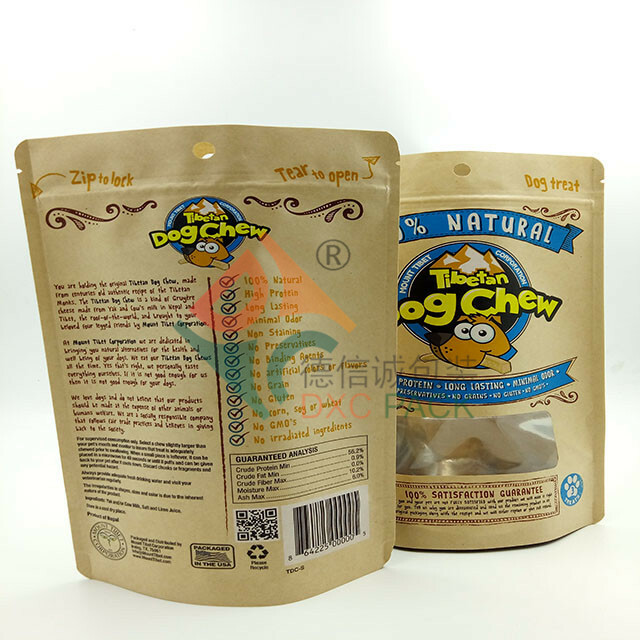 Self-supporting pouch design enables the package to stand by itself when filled. Customized clear window,with kraft paper and metalized material is available. Round corners to avoid accident when user hit the corner. Hang hole or butterfly hole for better shelf appearence. Food safe - FDA approved materials. Please note that all volume & bag sizes are estimates.